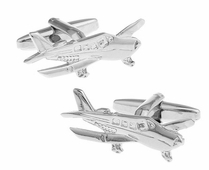 If you are left awestruck at the sight of huge commercial airline planes, then you should purchase and wear our commercial airline cufflinks. 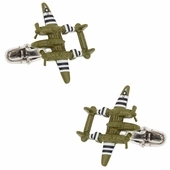 Perhaps, you are more of a fighter jet man. 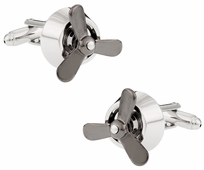 If you are, then you can put on and show off your shiny spitfire cufflinks. 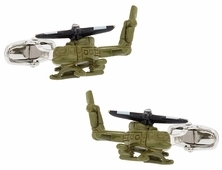 There are even army helicopter cufflinks in green if you are military enthusiast and need something to go with your green camouflage style outfits. 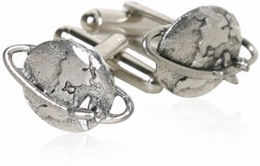 The various options on display are staggering and you are sure to find something that you will adore for life! 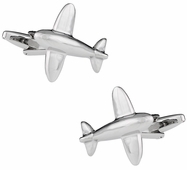 You can choose to use biplanes reminiscent of the World War glory if you are a history buff and an airplane aficionado. 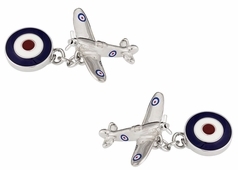 You can create a whole ensemble of historical airplane accessories with the help of war plane bombers, British Air Force roundel helmet cufflinks, or even UK helmets. 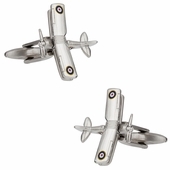 Pilots and world travelers' rejoice, we have a great selection of aviation cufflinks just for you. 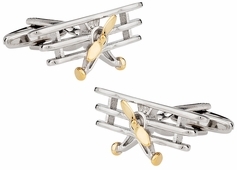 Whether you were a commercial pilot or a fighter jet pilot in the military, our airplane cufflinks will remind you of your exciting profession every time you look down at your French cuffs. 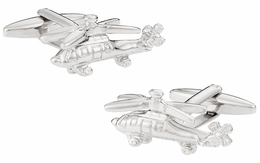 We also have an interesting set of helicopter cufflinks. One of these days I hope to have the opportunity to take a helicopter tour....of Hawaii. 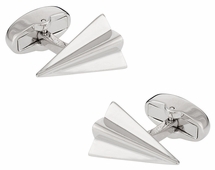 There is no better way to show off your passion for the greatest marvel of human ingenuity � airplanes and triplanes� than to simply sport highly refined aviation cufflinks found here at Cuff-Daddy. 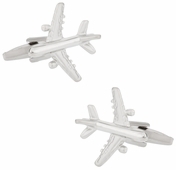 Think back to your childhood when you could not get enough of airplanes and would tinker with models and put up posters in your room. 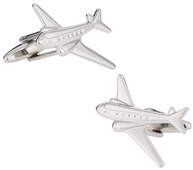 Airplane cufflinks from Cuff-Daddy.com will allow you to share your passion with the whole world. These links will even initiate conversations with your friends, family members, and colleagues. 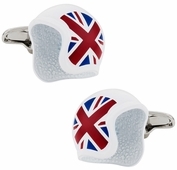 Who needs coffee table books when you can smoothly wear these refined and exquisite accessories! 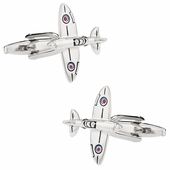 The same goes for spitfire cufflinks. 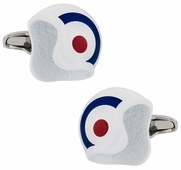 We have 2 fantastic designs to pick from.